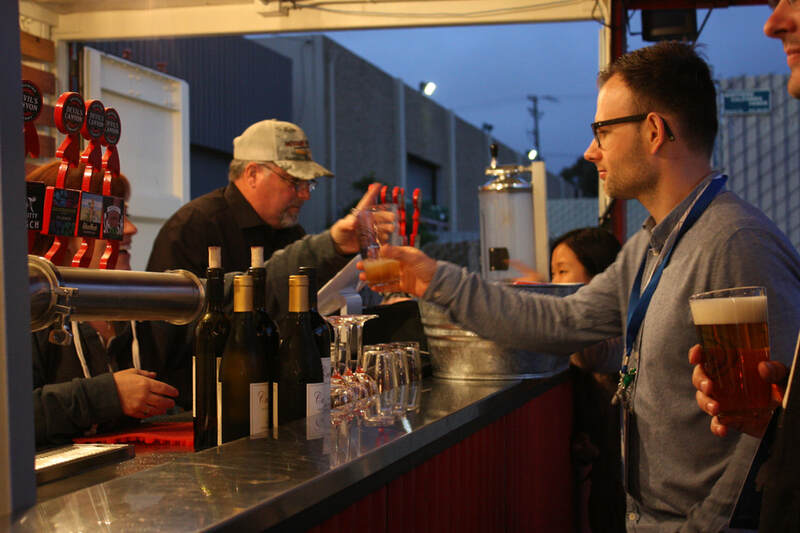 Devil’s Canyon Brewery in San Carlos got its start in 2001 as a home-brewing project, but quickly developed into a private-label contract brewery and later a full-scale commercial brewing operation. Now the brewery operates full-time as both a production facility and event center. The motto of Devil’s Canyon is “Crafting Beer, Building Community.” And for this family-owned craft brewery, community is not just about people – it’s also about the environment. Devil’s Canyon has always operated with sustainability in mind, but in January 2017, the craft brewery took its eco-credentials to the next level, getting certified as a Green Business through the County of San Mateo’s Green Business Program. direct-install lighting retrofit program for small businesses and nonprofits. The lighting replacement not only improved the quality of light – which is important to many of the beer-brewing processes – but it also reduced the brewery’s carbon footprint by the equivalent of the annual air pollution from over 1,500 cars. Devil’s Canyon also installed ultra-efficient LED lights in the main bar, front hallways and several restrooms to save even more energy and low-flow water faucets to conserve water. It’s common for commercial breweries to use heat exchange systems. Rather than purchase a new system, Devil’s Canyon built its own using a tank that was originally headed for the landfill, as well as a tube and shell heat exchanger purchased at an estate sale. This “recycled” heat exchanger saves about 3,000 gallons of water a week and thousands of dollars a year on the brewery’s energy bills. It also cost 75 percent less than buying a brand-new system. Devil’s Canyon asks its patrons to bring their own pint glass or purchase one from the brewery to reuse.